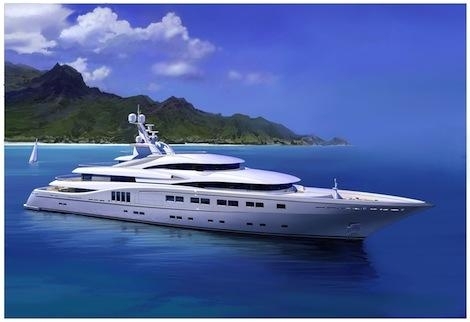 So this is a seriously large Super Yacht and it begs the question why the name ‘Secret’? There is nothing about this 82 meter long vessel that says sshhh… Secret. 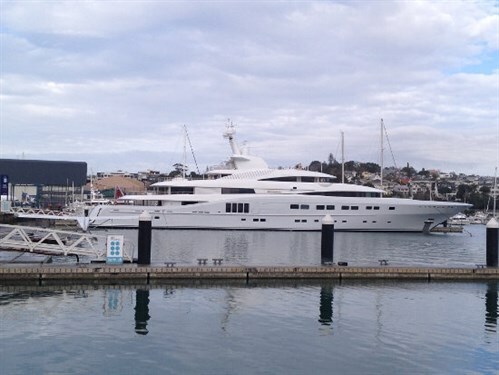 If anything it yells “Ta-da, here I am” and despite the surrounding array of impressive yachts at the Westhaven Marina, the Secret quite simply dwarfs all the other “large” vessels in sight. At Unique Services we found ourselves in a unique situation, one where we were contracted to clean out many of the holding tanks in this impressive multi-million dollar vessel. The tanks varied in capacity and in content. Some were used to hold used engine oil, bilge water, kitchen waste and also sewage. In addition specialised cleaning was carried out in a freezer room and a refrigeration room, as well as other hygiene specific areas. In short we were working with varied types of waste, confined space, hygiene requirements and all at the centre of a luxury yacht – this situation required a unique approach. 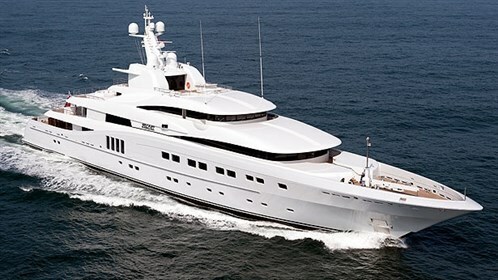 Sam Sorgiovanni created the overall design of the Secret and the interior was conceptualized by Jim Harris, who had worked on the owner’s previous yacht’s interior. With this pre-existing relationship comes an understanding of the required levels of opulence that need to be delivered, in order to meet the owner’s high and exacting standards. The confined-space work we were contracted to undertake is specialised, and even more so when these tanks are at the centre of a specially designed, exquisitely appointed and beautifully carpeted Super Yacht. So first up – carpet protection; high pressure hot water hoses were sheathed in plastic and every possible care was taken to protect all surfaces. The areas cleaned were much smaller than most of the confined space work Unique Services normally undertakes, and adding pumping waste for extraction uphill for quite some distance, equalled a uniquely challenging situation. Our solution. Waste was pumped to a 1,000 litre IBC plastic storage tank that had been placed on the wharf. When this was full a “sucker truck” came and emptied the contents. This saved significant dollars through not having a truck on standby for several days. As the name of the yacht suggests there is a level of discovery, of mystery and of course exquisite luxury. Secret is the first launch of a new yacht from Abeking and Rasmussen in a while and with the level of attention, design and luxury appointment it seems logical that Abeking and Rasmussen are not your superyacht conveyer belt of production. They put time, energy, thought and intense preparation into what they do and we like to acknowledge the similarities in how we approach each unique job that comes our way. If you have a challenging job for us, be it a small confined space, a range of waste removal items or a luxury setting, to which no damage can occur then give one of our friendly team a call. If we can effectively and efficiently remove waste and commercial clean the confined holds of a super yacht then we (quite rightfully) feel confident in our ability to tackle…well, any tricky job. Unique jobs are quite simply the type of challenges we thrive on.